This picture book is yet another visual treat, and a fun way to introduce the English alphabets and India to little children. The content is organized alphabetically, and has a picture and text combination on each page that captures some aspect of Indian life - culture, religion, day to day activities etc.mostly from Orissa, which is where the author hails from. The pictures are real life photos from India focusing mainly on children. The author, Prodeepta Das, has picked a few of the pictures specific to his state, which I thought was quite interesting. 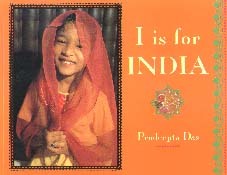 It set me thinking, and thought it might be interesting to have a picture book for every state - O is for Orissa, P is for Punjab, T is for Tamilnadu ( in some cases, we could have two books - k for instance! :-)) We could do a whole series, and I am pretty sure we can find sights unique to each state that can fall in the alphabetical order. I loved the fact that the author has depicted pictures from both rural and urban settings. This is an attractive book for little ones. The two books - Going to School in India and I is for India, which were holiday gifts for my 4 yr old were part of our family's celebrations this festival season - the two "D holidays" - dussera and diwali, of course! A picture book for every state, that is indeed a great idea, Prabha. That would bring home a little bit closer, I think. A colorful interesting book, Prabha! I have a collection of Amar Chitra Katha comics for my older kids.They love it. 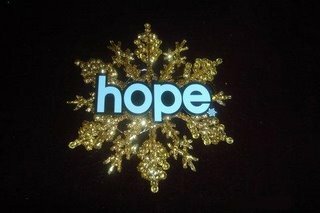 Foodie's hope: I love your blog! Amar Chitra Katha certainly brings back fond memories of childhood! Indira: Thanks for your support!